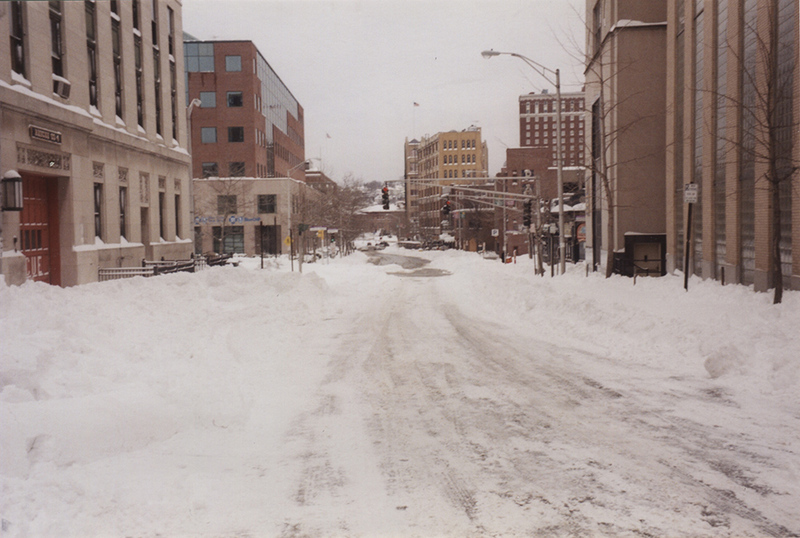 The area between Broadway and Fountain Streets in La Salle Square--currently a large surface parking lot surrounded by a black, wrought-iron fence--has hosted not only the parked vehicles of Providence Bruins fans and suburban commuters, but also several notable city institutions, including the Central Police Station and a Catholic boys' school, after which, the square is named. In 1868, Providence's Bishop Francis P. McFarland, who had been seeking land for a Catholic school, wrote a letter to a superior reporting that "I could not obtain the property that I was talking about to you when you were here. But I did obtain a lot which is bigger, better and more centrally located. The house is worth more than the first one. It has an empty lot next to it and will cost $18,000. Its location is favorable, on the corner of Broadway and Fountain Street, two of the best streets in the city." The Catholic Diocese of Rhode Island purchased the house and lot from Albert and Jesse Eddy, and broke ground for the school building in 1870. The resulting school, La Salle Academy, had six classrooms and an assembly hall. The open space beside and behind the school was used for sports and outdoor dining. The wood frame building next door (which one contemporary described as "old and dingy") served as housing for the Christian Brothers. The school day ran from 7:30-4:30, with a break from 11:00-1:00 for lunch, and two recesses for students to play outside, allowing teachers to "ventilate the classrooms." The classrooms themselves were bright, with sun streaming in through the sizeable windows, and students sitting on long benches in the blackboard-lined rooms. When the school became overcrowded in the 1920s, a new building was constructed in the academy's current location in Elmhurst. 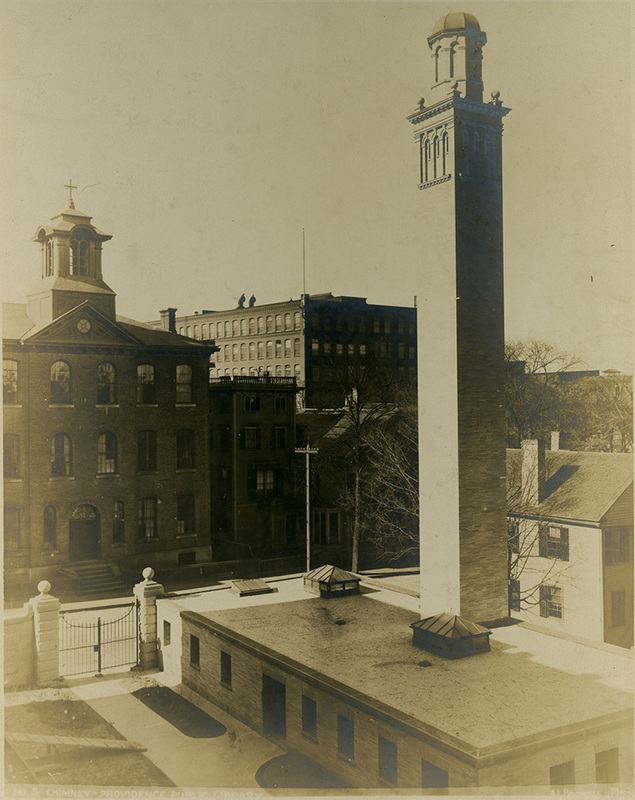 The original school buildings were eventually torn down, replaced by the looming Providence Central Police and Fire Headquarters. The buff-colored Central Police building, constructed in 1940, was boxy, L-shaped, with decorative art deco details. Inside, it housed offices, waiting areas, holding cells, and bays for fire trucks. After the police and fire departments moved to a new, combined Public Safety Complex at 325 Washington Street, the structure was razed, despite fierce opposition from a number of sources, including the Providence Preservation Society and several neighborhood associations, all of whom insisted that the building was historically significant and structurally sound. La Salle Square is named after La Salle Academy, which was originally located near the corner of Fountain Street and Broadway. The Art in Ruins website has some stunning, eerie photos of the interior of the Central Police building after it was abandoned, but before it was demolished. 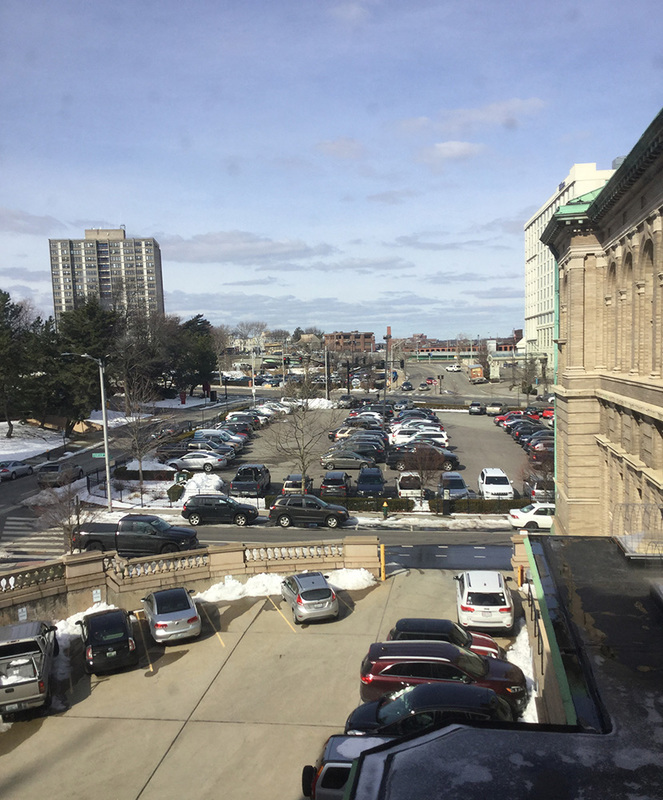 Angela DiVeglia, “La Salle Academy,” Rhode Tour, accessed April 23, 2019, http://rhodetour.org/items/show/342. Campbell, Paul, John Glancy, and George Pearson. Images of America: Providence Police Department. Arcadia Publishing, 2014. Scanlan, James J. The History of La Salle Academy, 1850-1994. Hope Publishing, 1994.